A number of children and adults are bothered by protruding ears which at times causes social embarrassment. There are effective ear reshaping (otoplasty) procedures that can treat protruding ears. Even though otoplasty can be performed in children as early as 4 years of age, many surgeons prefer to wait until the child begins to express the concern of having protruding ears. 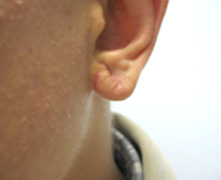 Otoplasty involves making an incision behind the ear and then setting the ear back using special suturing techniques. 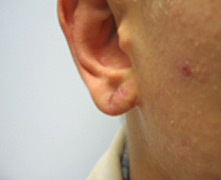 The scar is usually not visible as it is hidden by the ear. In children this procedure is done using general anesthesia whereas in adults it can be performed using local analgesia. 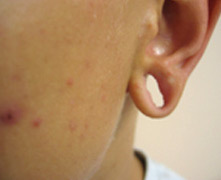 Reconstruction of earlobes due to earrings or other trauma is also performed under local anesthesia in most cases.